General Software Testing Help tutorials. 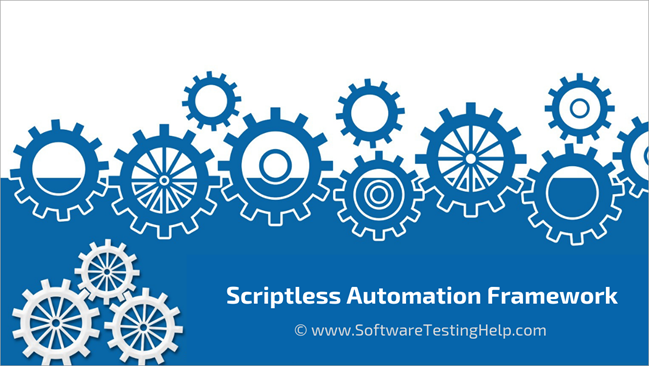 This article will give you a complete overview of Scriptless Automation Framework in simple terms. The design goals, Implementation requirements, Benefits & Myths of Scriptless Automation are explained with perfect examples for your easy understanding. While concluding this article, you will get a good insight into all the answers to the ‘why’, ‘what’, ‘when’ and ‘how’ questions related to this framework. The IT landscape has changed drastically over the last few years with the advent of new application development and deployment frameworks. Gone are the days when we had client-server applications running on physical machines. New technologies like micro-services are giving rise to cloud-native and containerized applications which use dynamically provisioned resources based on the workload demand. Mind Mapping in Software Testing – Ways to Make Testing More Fun! As all of us know, a visual aid is more powerful than any other mode of learning. This has been proven many times that people will remember creative visual aid sharply than learning things traditionally. Usually, we have seen people explaining presentations by chalking the lines, circles, and squares on boards or through PowerPoint point slides. But have we ever thought to represent it in a more creative way? Have we ever thought to make it still more colourful? Read moreMind Mapping in Software Testing – Ways to Make Testing More Fun! The year 2008 was very productive for software testing help in terms of new subscribers and site traffic. We covered many interesting and (I hope) helpful articles in this year.